Forget Christmas, our favourite holiday round these parts is Alien Day. Yup, April 26 is the day when we celebrate the fact that we're probably not alone in this very, very big universe. To celebrate this special day, Dark Horse are releasing not one, not tow, but three new Alien comic books. 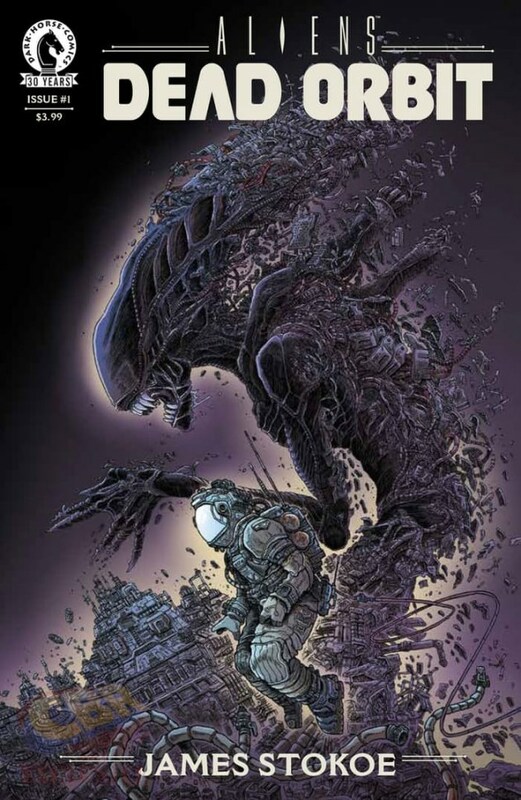 The first is #1 of Aliens: Dead Orbit, from writer and artist James Stokoe, which finds a lone engineer trapped aboard a derelict apace station filled with hungry Xenomorphs. You can watch a trailer for the series below. 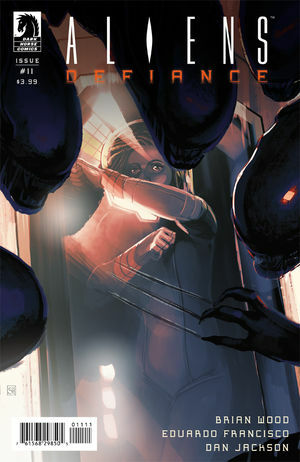 The second is #11 of the long-running series Aliens: Defiance, from writer Brian Wood and artist Stephen Thompson. 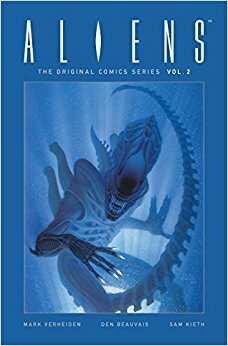 Lastly, there's Aliens: The Original Comics Series-Nightmare Asylum and Earth War, which reprints some of the classic Alien comics from back in the day. Needless to say, if you have some spare cash lying around, you should buy some of the books listed abouve and make this Alien Day one to remember. Dead Orbit looks fantastic! Geoff Darrow's cover art is gorgeous! !